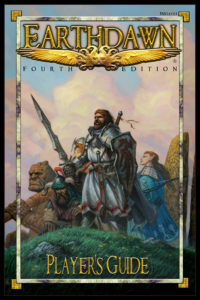 Earthdawn Fourth Edition Core Books – FASA Games, Inc. 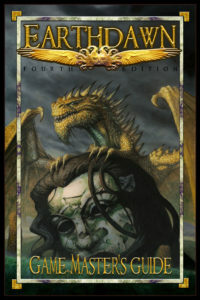 Core Rulebooks contain the rules needed to play and run the Earthdawn game, along with information that provides an overview of the default setting, the province of Barsaive. The Fourth Edition is the current one, featuring updated mechanics and advancing the timeline of the campaign setting to the year 1517 TH. Official Errata and FAQs can be found here. The Earthdawn Player’s Guide™ lets you create and play characters from First through Eighth Circle, containing revised game mechanics, spells, talents, skills, and much more! The Earthdawn Gamemaster’s Guide™ provides rules and advice for running the Earthdawn game, includes an exploration of the lands of Barsaive, as well as numerous fantastic creatures and magical treasures to challenge and reward your players! The Earthdawn Companion™ expands the rules and options available for your game, including Discipline progression and talents for Warden and Master tiers (Circles 9-15), talent knacks, enchanting, legendary thread items, creatures, rules for airships and riverboats, and more! The Earthdawn Gamemaster Screen™ eases the sometimes treacherous path of gamemastering. The four-panel cardstock screen displays commonly used charts and tables, and provides a place to conceal adventure notes and dice rolls. Also included is a 32-page booklet that contains sixty pre-generated adepts! Based on the sample characters from the Player’s Guide, you get four examples of each core Discipline, advanced to Circles 2, 4, 6, and 8. Talent selections, derived characteristics, and sample magic items are provided, making the characters a great way to provide short notice allies or adversaries in your game.